New technologies are making a huge impact on the future of healthcare across the world. In the world of technology it doesn't take a genius to realize that the pace at which it advances moves much faster than our understanding or awareness of how far humanity has progressed comparatively. The world of today faces new problems that we've never had to deal with in the past. Issues like overpopulation, sustainability and unemployment are all very big concerns for politicians and world leaders across the globe. The fact that the world has faced such exponential population growth says a lot about the state of medicine and specifically the improvements made in this field. As our world becomes more technologically complex and copes with exponential growth of population, the number of people with health issues will also rise exponentially. Because of this fact, companies are looking to further develop technologies that can address the sheer number of cases quickly and counteract new chronic illnesses. In 2018, we have seen a shift towards medical technology. The industry has steadily grown each year, expected to be worth a staggering 467 billion in 2020. Because there is so much money on the table and the needs of the masses are surely predicted to grow a new range of treatments and methods for treating patients must be developed. Technology has a way of simplifying processes if applied in the right manner and in this case we are talking about the potential to save lives. 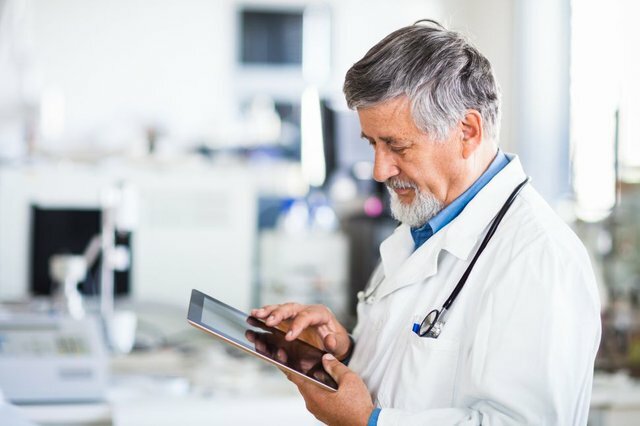 In this article I will discuss some of the specific new technologies that are transforming the medical industry as we know it. Things like delivery drones, AR and advanced robotics will all play a major role in the coming transformation of modern medical practice. A sharp rise in augmented reality and VR has also seen a change in the market, with companies realising the potential of the tech. Mobile phone use has only served to enhance the need for these options. With the healthcare profession also becoming overburdened by complex processes, the innovation and development in medical technology are essential for saving lives. Medtree, leading distributors of medical supplies and first aid kits, are discussing the tech trends in medicine, and what they spell for the future. It seems clear that AR and VR will become commonplace in the treatment methods of the future. Beyond that the sheer quantity of patients that will need treatment require new ways in which to see patients. There are online services popping up to diagnose patients as well as additional services that work on mobile phones. Let me take a moment and discuss how drones will be used more effectively in the field of medicine. It has recently been reported that the use of drones in the application of delivering medical supplies would become much more commonplace in coming years. Actually another surprising fact is that they are already saving lives in countries with poor access to hospitals, lack of roads and poor access to medicine. Have I peaked your interest here? Well lets drive into this new development a bit deeper shall we? Many companies are moving in on this new exciting trend to incorporate drone delivery systems into medical practice. For example, a company called Zipline has recently pioneered the world’s first national drone delivery network! The company's efforts began in Rwanda but they have also been making serious attempts to expand to Tanzania. It is their ambition to serve a further 1,000 clinics. The clinics they intend to serve are located in areas where roads are almost impossible to cross and far away from urban areas. There is one recent example of a drone that took just 10 minutes on a trip to save the life of a patient. The alternative which would have been far too slow is to have had a healthcare worker cycle 10km in harsh conditions to reach the patient with life saving supplies. Beyond the use of drones which certainly will play a major role in medical supply delivery, there are even more exciting applications for modern day AR and VR. In fat, medical surgery has been speculated to be one of the more promising areas for augmented reality. If you are not familiar with augmented reality, it can be defined as a technology that superimposes a computer-generated image on a user's view of the real world, thus providing a composite view. Basically its the use of some sort of visual technology which overlays digital images on top of what you are seeing in the real world. Glasses that present figures, objects or shapes that aren't visible with your eyes alone. So now that we know a little about what AR is you may want to know how it has been proposed to be used in the field of medicine. Well, apparently something called 'Touch Surgery' has been regarded as one of the latest pioneers of the AR trend. A new treatment entitled 'Go Surgery' has been created to provide medical professionals with step by step guides for a particular surgery procedure. The steps are holographically projected onto a screen. This augmented reality tool has the potential to train medics on detailed aspects of surgery. In essence providing a superior level of training and therefore creating a whole new generation of doctors with outstanding experience in surgical procedures. Having guides like this that can provide outstanding insights into how a medical procedure must be performed is predicted to revolutionize the field of medical education and increasing the number of student practictioners able to be processed by universities across the world. Another example of this type of technology being put to use is in the field of modern reconstructive surgery. It is common knowledge that doctors have been using the Microsoft HoloLens AR glasses to perform reconstructive surgery. This method is very useful when assisting patients who have suffered severe leg trauma. It is safe to say that technology has the potential to change the face of the medical industry. To take it one step further it can be argued that it already has performed that function to a large extent. Better technology equates to a likely chance that it will result in better care and diagnosis. As the world's population grows, the sheer number of health care patients is certain to grow with it. The health issues we face in modern day life are also predicted to grow as environmental conditions worsen. It seems clear that we should play our role as much as possible in maintaining healthy lifestyles as to put as little strain on the overall health care system as possible. As much as I hate hospitals and going to see the doctor, learning about what is being done with drones and AR makes me hopeful of the future. I think that technology definitely serves a purpose in modern day life and if that purpose is saving lives, I'm all for it! Now I'd like to turn the floor over to readers. What do you think about these new technological advancements in modern medicine? Would you be more or less confident having surgery performed by a doctor that had trained holographically?